The Pullman Company operated most of sleeping cars on American railroads from the 1870s until its final dissolution in 1968. 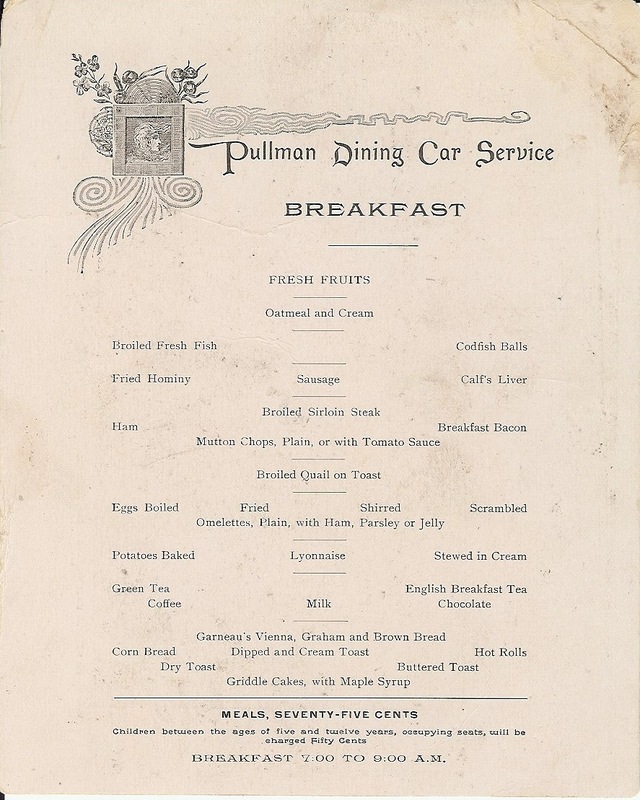 Founder George M. Pullman also brought fine dining to the rails, and the Pullman Company contracted to operate food service at various times on various railroads. This menu appears to date from between 1888 and 1893, a time when the Union Pacific Railroad system extended its lines into the Pacific Northwest through subsidiary companies such as the Oregon Short Line and the Oregon Railway and Navigation Company. Through service from Portland to Omaha and points east over the UP system began in 1884. 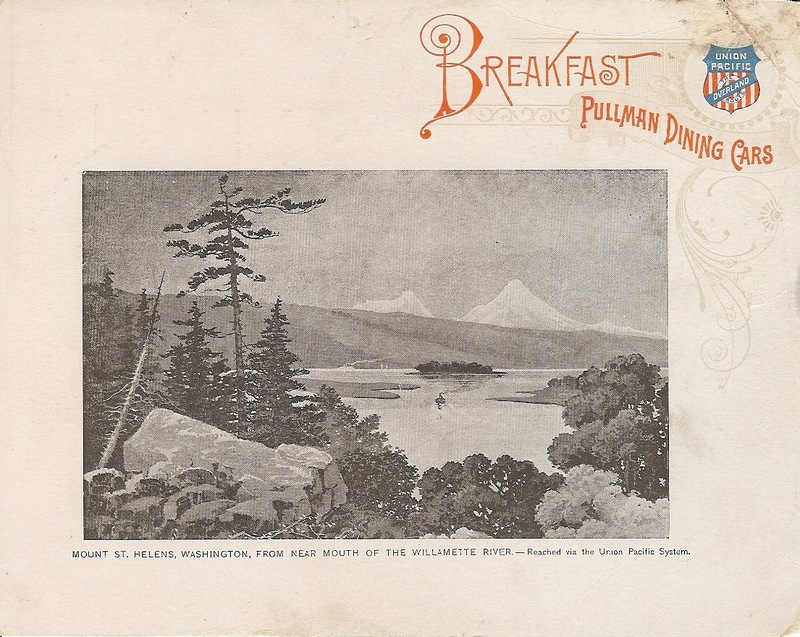 One side of the menu card depicts an unusual view of Mount Saint Helens from the mouth of the Willamette River. The breakfast offering, at 75 cents for the entire meal, is not as cheap as it looks (that price is roughly $18.50 in today’s dollars), but it certainly could be seen as a good value. The protein level is extraordinary by today’s standards; very few of us now give even a passing thought to starting the day with broiled fish and mutton chops and liver …. Notably absent? Anything sweet. If fresh fruit does not do it for you, your only option is a chocolate beverage or adding some sugar to your tea or coffee.